Well, I admit it. I don’t post on the blog much. It’s obvious. Writing isn’t my thing. In fact, it is so not my thing that it took me quite a few years to finally finish my book on presentation skills for attorneys. Yep, that’s how much I would prefer to speak over write. 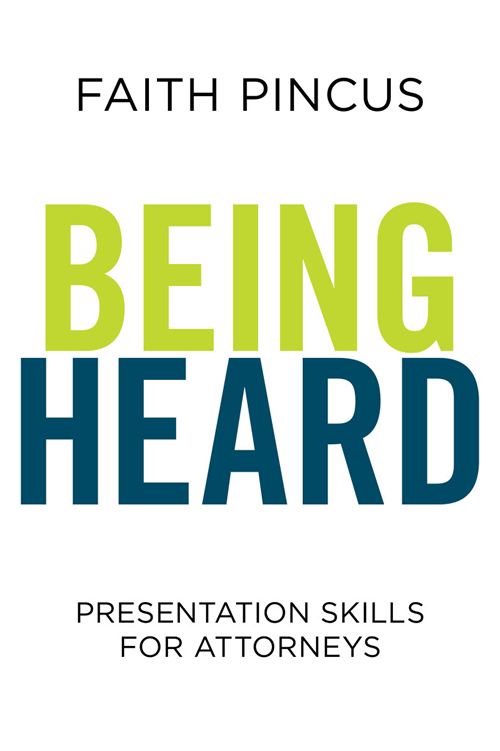 It is called Being Heard: Presentation Skills for Attorneys and is available now on Amazon (Kindle and paperback), from the American Bar Association, or even at my own company’s store. – Gerald B Cope, Jr.
– Michael G. Colantuono, Esq. “Faith’s book reads like a conversation with her: fast, engaging, and certain to leave you with at least a few new ideas you will be eager to apply. 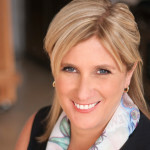 – Barbara Barbara Junge, Esq. Career law clerk, United States District Court, Southern District of Florida. “What seems at first glance to be yet another primer on effective communication for the inexperienced proves on a closer read to be an extraordinarily useful tool for the old and skeptical as well. Faith Pincus has created a communication toolbox for all of us who struggle with effective oral presentations either all of the time or only some of the time. “I have observed well over a thousand oral arguments in the California Court of Appeal and I can say, if you are a practicing attorney, read this book. In clear, conversational and gripping fashion, Faith Pincus demonstrates that public speaking is indeed an art. – Joseph E. Ankus, Esq. “Law school teaches students how to “think like a lawyer.” Law school does not teach students how to speak. The result is that we can take either side of an argument; and we may be effective in a written brief. But, most of our activities are outside the written arena. Our oral skills most often determine how we’re seen as leaders, how we attract and keep new clients, and whether we’re successful in court, both before the judge and before jurors. Feel free to email me with any questions about speaking. Remember: Be Heard. This time. Next time. Every time.